With the X Games going down this weekend in Minneapolis, USA. It seems like as good a time as any to rewind the clock 17 years to the year 2000. And a win for Martti Kuoppa that really set the tone for years to come, with also great riding from Trevor Meyer, Alex Jumelin, Michael Steingraeber, Nathan Penonzeck, Andrew Faris, and Phil Dolan. Great memories from 2008 and jamming with the UK crew at the TGM riding spot in West Norwood. I haven’t watched this edit in a few years until yesterday, featuring Jason Forde, myself Effraim Catlow, Phil Dolan, and a big section from Sam Foakes which starts at the 3:36 mark. Well worth a rewind! Kicking off Saturday’s posts, with another flashback from 1999. This time the World Championships in Madrid, Spain featuring Jimmy Petitet,Michael Sommer, Andrew Faris, Jason Brown, Phil Dolan, Nathan Penonzek. 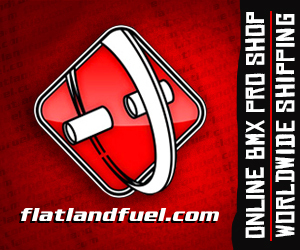 UK Flatland BMX Championships 2017 – The Battle Is On! UK Flatland BMX Championships 2017 – The Battle Is On! from UKFlatlandBMXChampionships on Vimeo. Plenty to look forward to here in the UK for 2017! Peep this slick short teaser Matti Hemmings helped put together from Round 2 featuring winner Dominik Nekolny, James White, Phil Dolan, Andy Hale, Francisco Pekeno, Dino Jeffers and more. Why not run with a X Games throwback this week, being that it is all on my mind thanks to the ESPN April fools. This week we go back to 1999, In San Francisco, I personally competed in this event, great times in Nor Cal! Hit play for some great riding from Nathan Penonzek, Phil Dolan, Trevor Meyer and many more. Brandon Woldridge just sent in another nice video from the archives, this time from 2002 we have Trickstars 4! Featuring: Martti Kuoppa, Trevor Meyer, Matti Rose, Hiro Morisake, Viki Gomez, Phil Dolan, Chad DeGroot, James White, Effraim Catlow, Alex Jumelin, Stephen Cerra, Frank Lukas, Ulrich Kittel, Peter Szabolcsi, Adam Kun, Valter Monchique, E. Butcher and OG Marton. The archive keep coming, another great blast from the past today that many of you might have seen but need to. Shane Neville did an amazing job with Flatland Manifesto, issue 1 has great coverage from the La Revolution contest in Toronto, Houston Texas scene repo, Art Thomason, How to pinky squeak with Cory Stratychuk, and a amazing Anaheim B3 contest edit: look out for the xft hitch backwards backpacker line from Martti Kuoppa at 32:34 mark that just keeps going. 16 years later this still rules!